Another Deep Dive this week on Enterprise MPLS with Ivan Pepelnjak. Ivan is the author of many Cisco Press books and senior figure in the industry and CCIE #1354 and gives Ethan and Greg a serious lesson in MPLS and how the Enterprise would use, design and manage an MPLS network. We cover some of the traps, tricks and factor in making it work. Greg is making notes to avoid really smart people in the future. Next week, will definitely be a quickfire show where we look at industry events and stories,. Yep. That wasn’t my intention to imply that the MP indicated it was for MPLS, but for MultiProtocol. MPLS isn’t my best subject, and Its hard to think, talk and host the show at the same time. But thanks for pointing it out in case anyone gets confused. Really enjoyed the show. 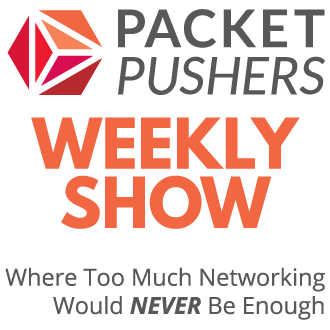 Certainly a good listen for me who has been studying MPLS looking to getting up to speed to do CCIE SP. One of my motivations to look into SP is because I rely on Service Providers for these (WAN) services and I am not always confident they understand the end to end solution. 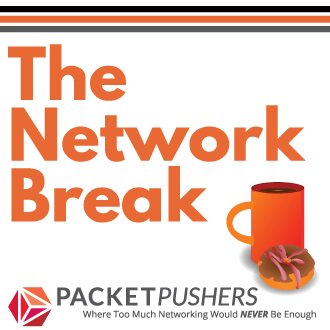 This podcast re-enforces even more in my mind the importance of Network Architects/Designers/Implementer need to have skills in other area, as the penny drops for customers I would expect to see MPLS in particularly VRFs being extend further into customers networks and then it is important to know how packet move end to end. On quick thing about MTU size that caused me problems recently. As in the podcast the SP MTU allowed standard 1518 byte. However my customer had a new multicast stream that was sending 1518 byte packet; these were being fragmented over the MPLS since these require GRE Tunnels. This caused process switching on the PE routers which just drop packet to protect CPU. Therefore multicast stream is terrible. The solution was to change MTU site on the multicast server. Great show. Keep up the good work. I now have Ivanís book on my Safari bookshelf.